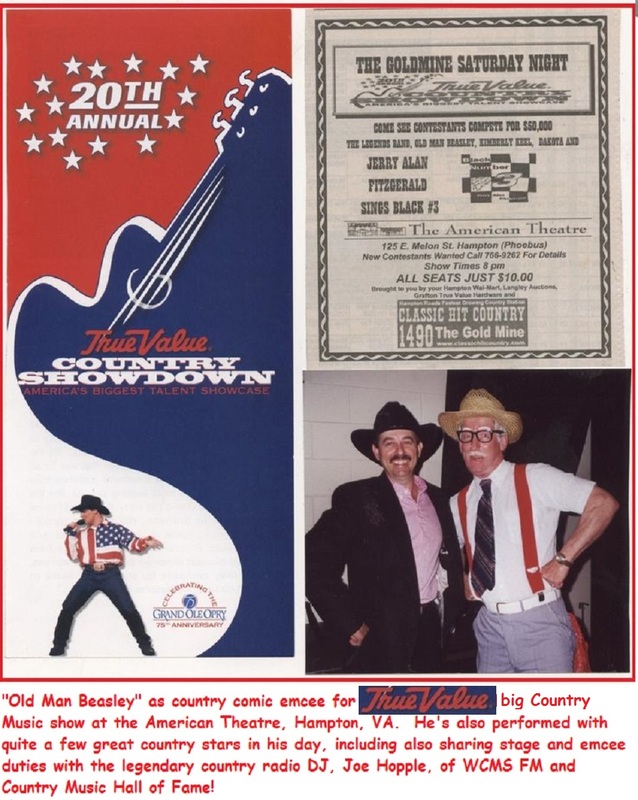 Old Man Beasley, Country Comic & Commercial Spokesperson! 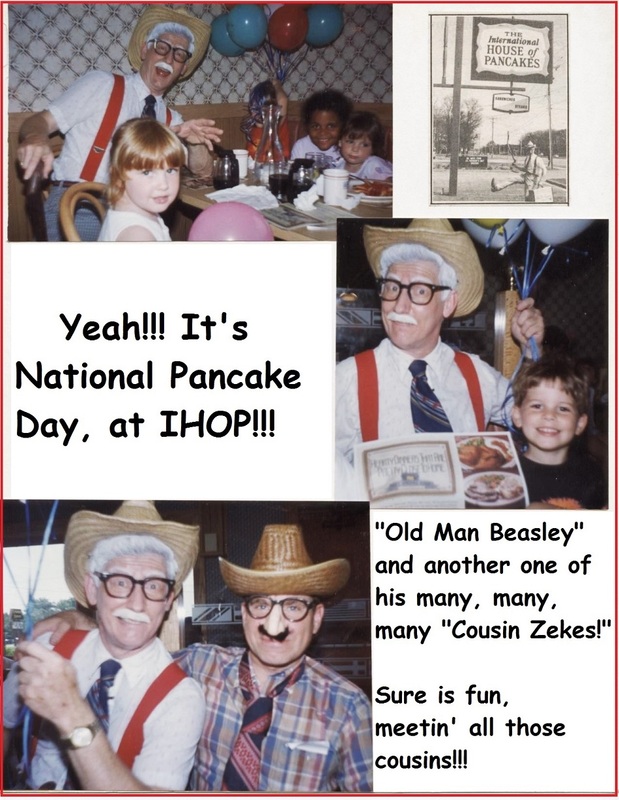 Introducing "Old Man Beasley," a hilarious ole geezer with a firecracker personality, who is by all his many years of life experiences a definite crowd-pleaser. 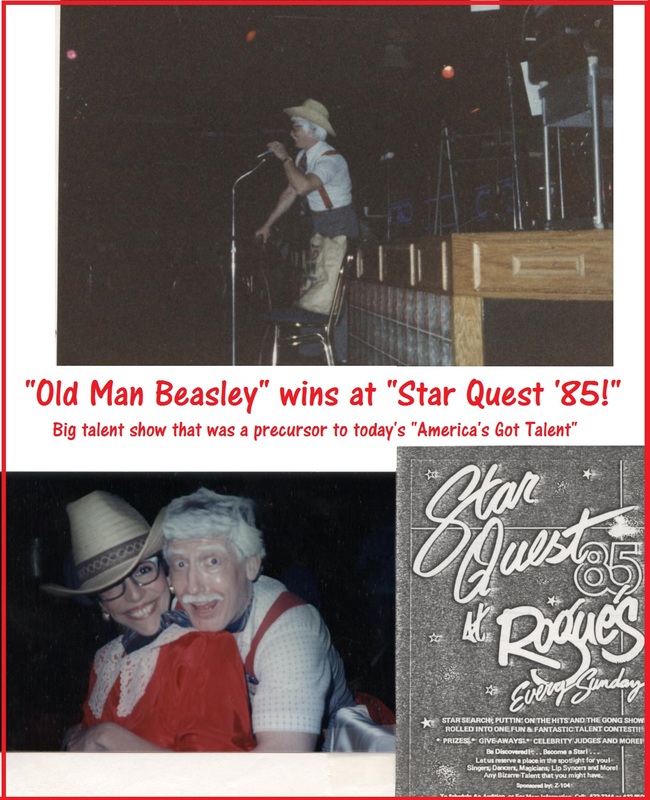 Old Man Beasley has been a special event favorite entertainer for family & country music festivals, trade shows, theater stages, TV and radio events since 1984! 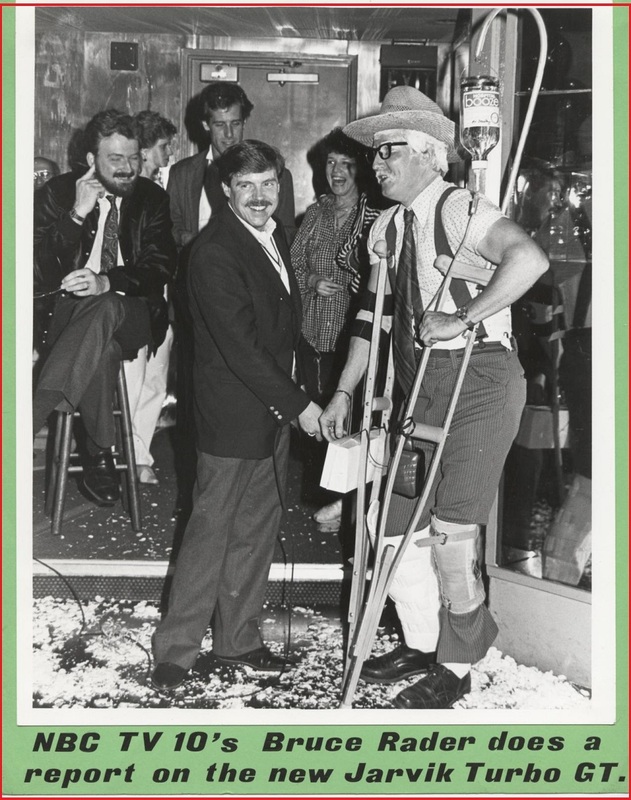 That's over 35+ years of "in the spotlight" know-how! 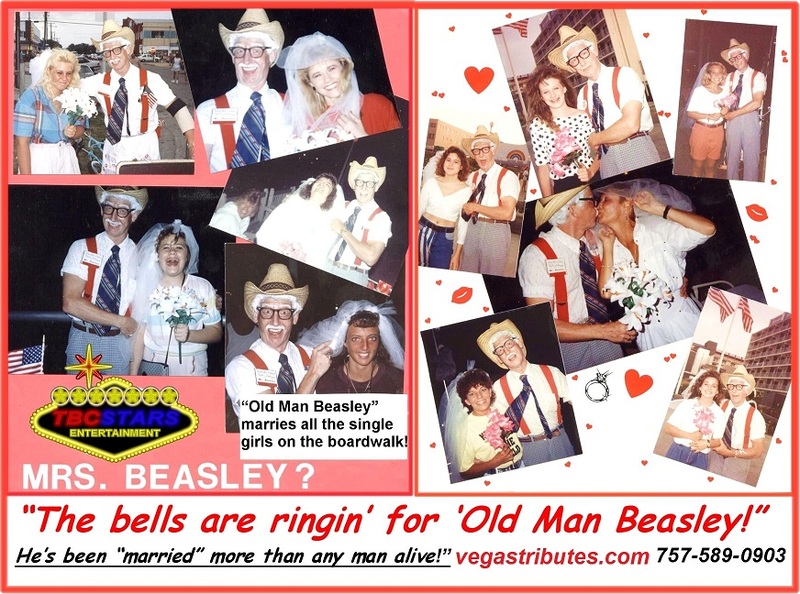 Who is "Old Man Beasley???" Well, for one, he's a super-duper shopper who knows a great buy when he sees it! Having been around quite a while, the old boy still remembers "the good ole days" and also looks forward to the exciting future! 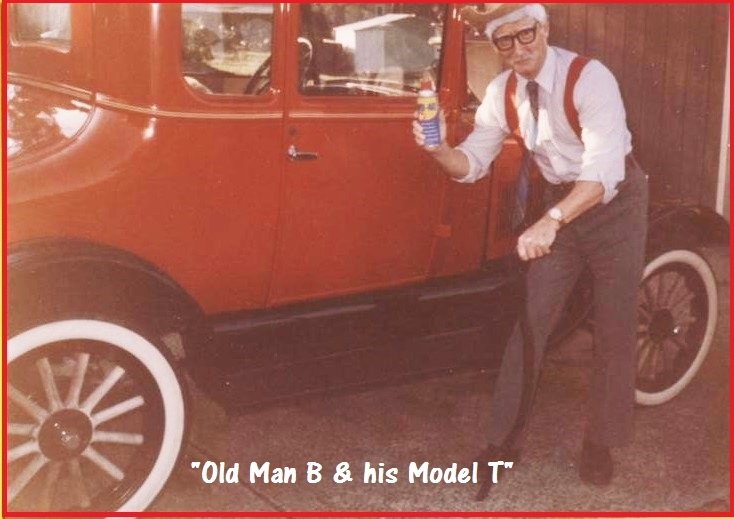 He still has the Model T he bought 'slightly used,' but would love to have a new shiny red Mustang Shelby to zip around in!!! 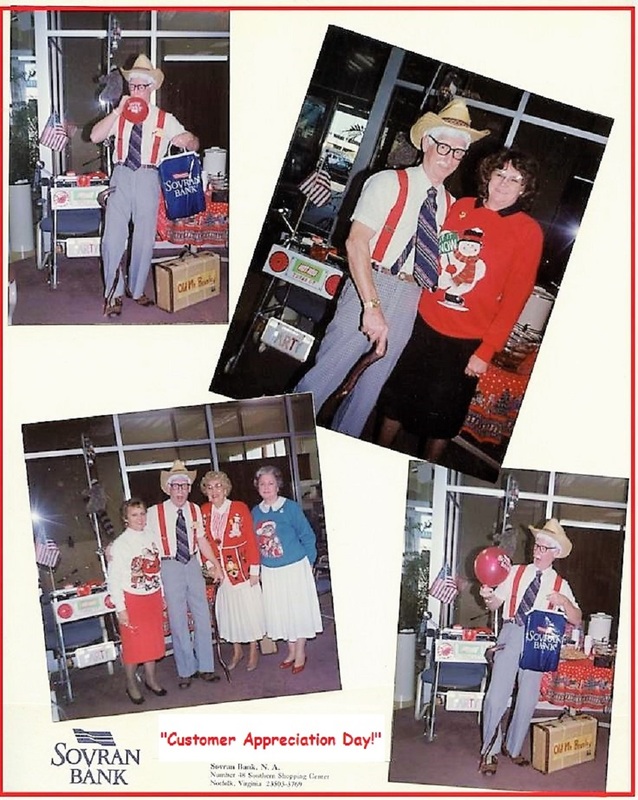 Fads and fashions and lifestyles come and go, beginning with the 1920s' "Flaunty Flappers," to the "Bobby Socksers," the "Baby Boomers," the "Neo New Wave," "Gen X-ers" and now that "Millennial bunch," and "Old Man Beasley" has seen them all! 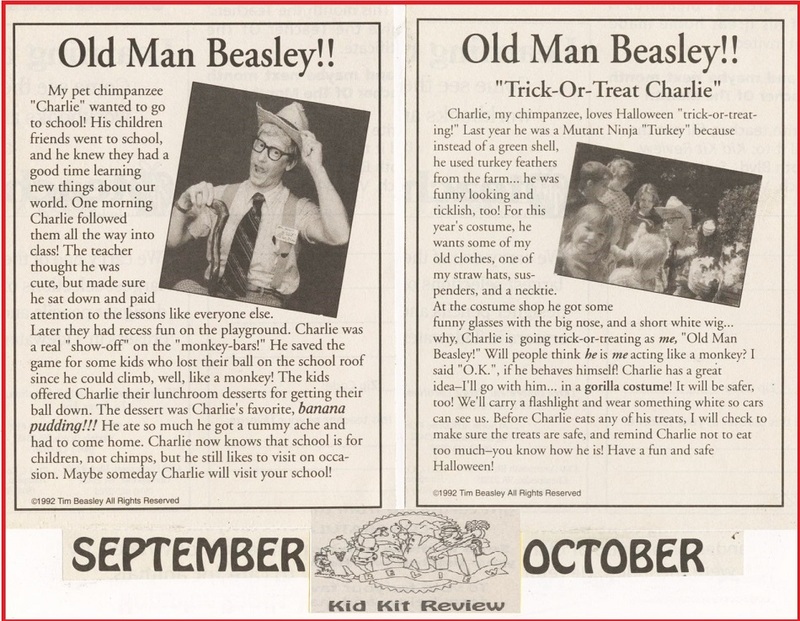 Next, here's an outline all about just one of "Old Man Beasley's" many entertaining adventures and also lots more...read on!!! 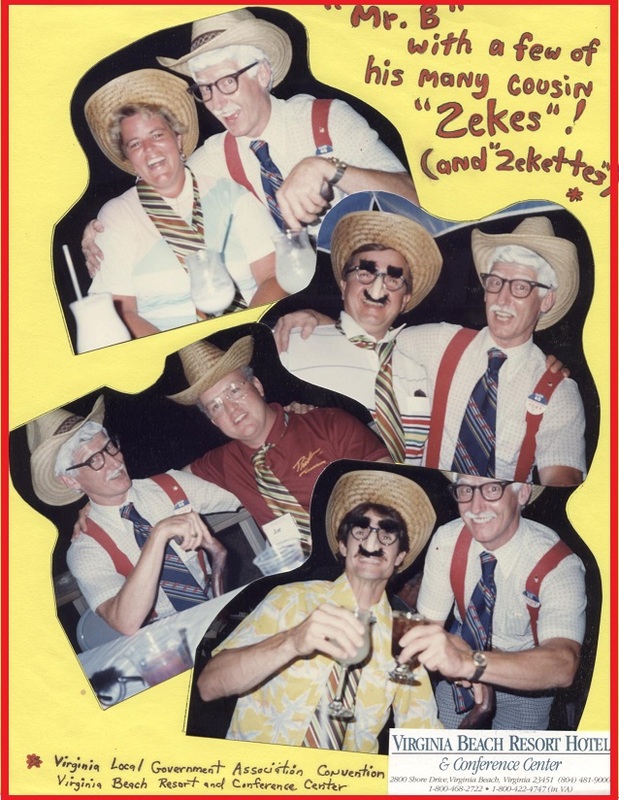 For three years to entertain the tourists at the popular resort Virginia Beach VA, "Ocean Occasions" (which evolved into the very successful Clear Channel SFX Entertainment's "Beach Events" and "Live Nation" ) engaged "Old Man Beasley" to be a walkin,' talkin' boardwalk ambassador. 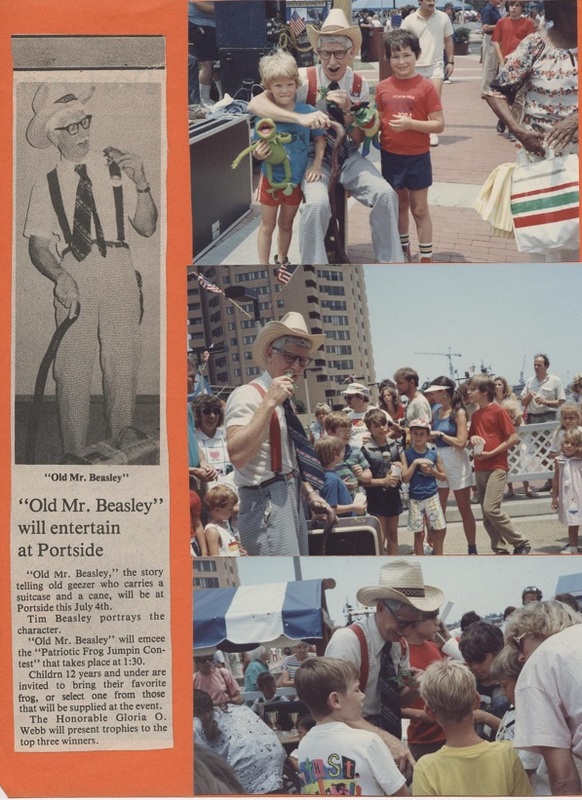 "Old Man Beasley" would create quite a hilarious attention-getting situation on the Virginia Beach oceanfront boardwalk with a very unique comedy skit! Several times an hour he would stroll the boardwalk until he found a sizable audience. 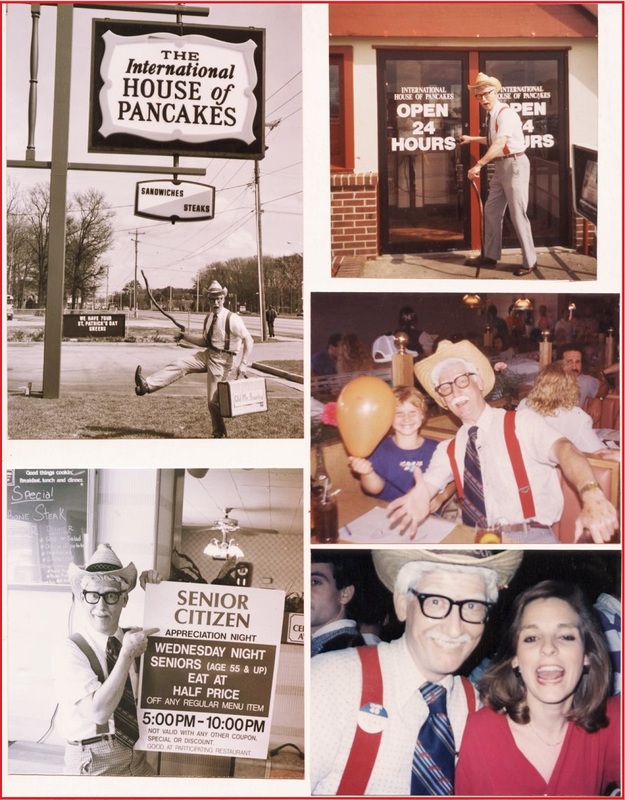 Just from his "funny ole geezer" appearance, actions and motions, he would gather quite a crowd together by launching into a zany routine where he made a loud and "sorrowful" announcement that he was heartbroken! 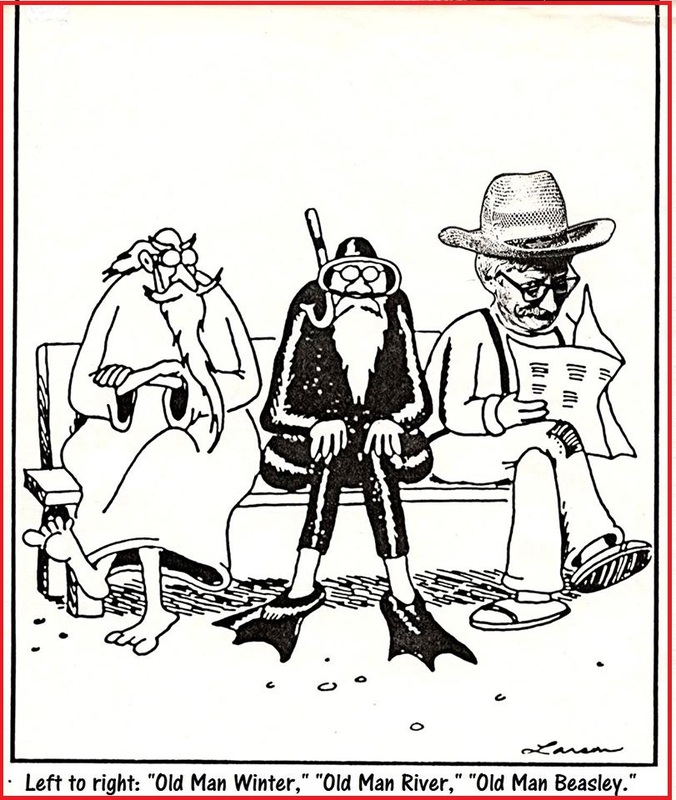 He related his story of coming to get joyfully married on the oceanfront, but was left at the beach alter by his lady friend masseuse and now fiance' "Pearl" and now could not go back to the old folks home to face his old coot friends. Having been bragging about his new bride-to-be just a little too much, if he showed up without a bride or at least some honeymoon photos, he'd never be able to live down the shame and their jeers and taunts! Being he had his "hotrod walker" to help him get around, complete with an MP3 player preloaded with "The Wedding March" and also his honeymoon suitcase all packed with funny "geezer" stuff and along with him, he also had "Pearl's" discarded wedding veil and flower bouquet...so, now all he needed was ....a bride!!! 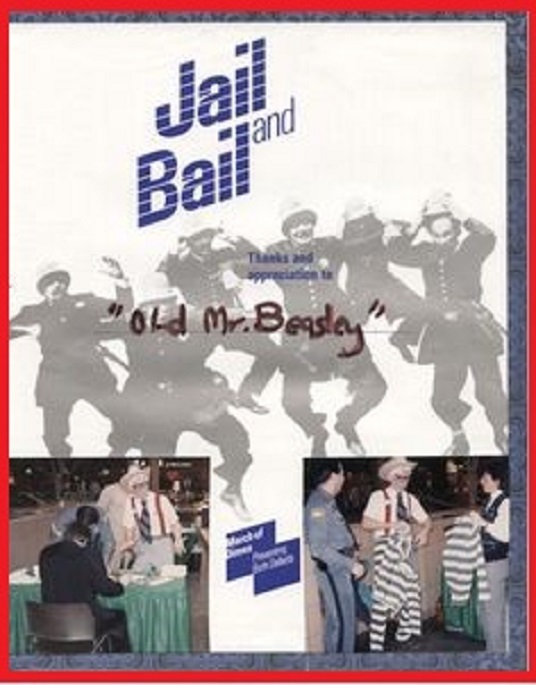 "Old Man Beasley" would spot ladies in the crowd sharing in the fun as he told his quick tale of woe, and then asking for a favor, he'd ask one or more to be his "stand-in-bride!" His idea is to at least fake some "selfies" he could send back to the old coots with the caption "Having a great honeymoon at the beach...eat yer hearts out!!!" 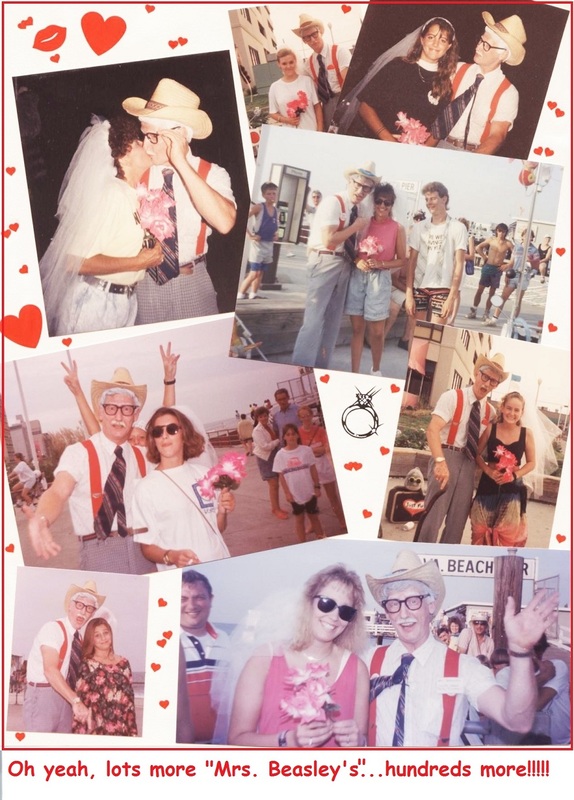 Many hundreds of young ladies went home with lots of laughs and a zany "Old Man Beasley's Marriage License" and a nice 'Thank you' from Virginia Beach! 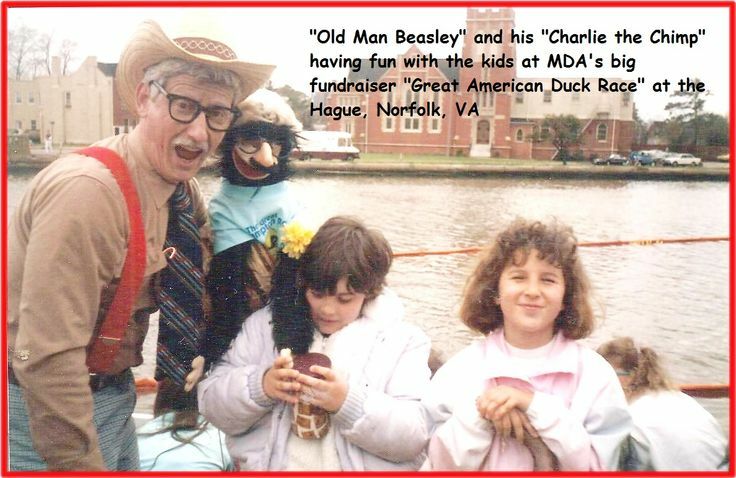 Did you have, or know anybody that had a "Mrs. Beasley" doll? 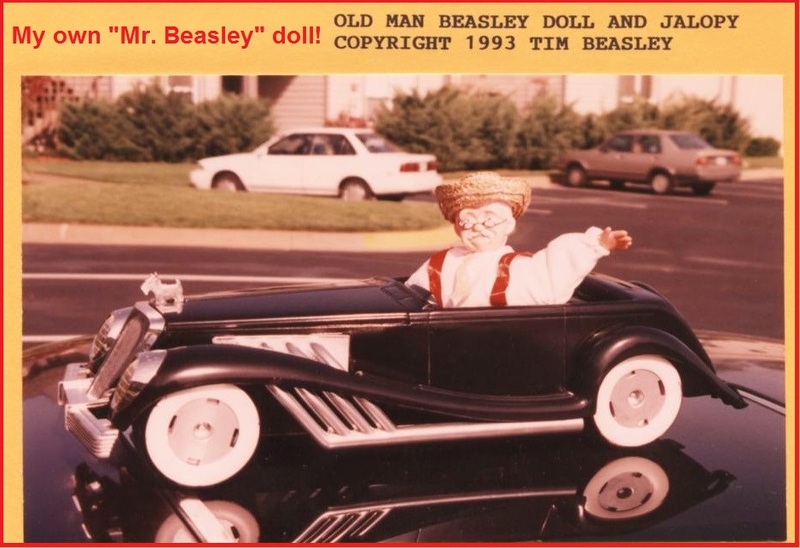 Well, there is also an "Old Man Beasley" doll, too! 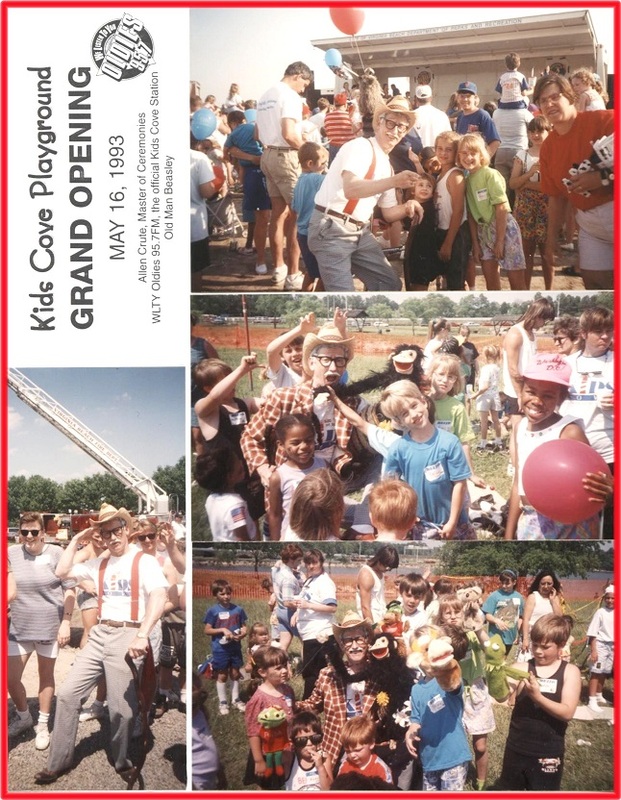 Festivals and Civic Events, Fun for all ages!!! 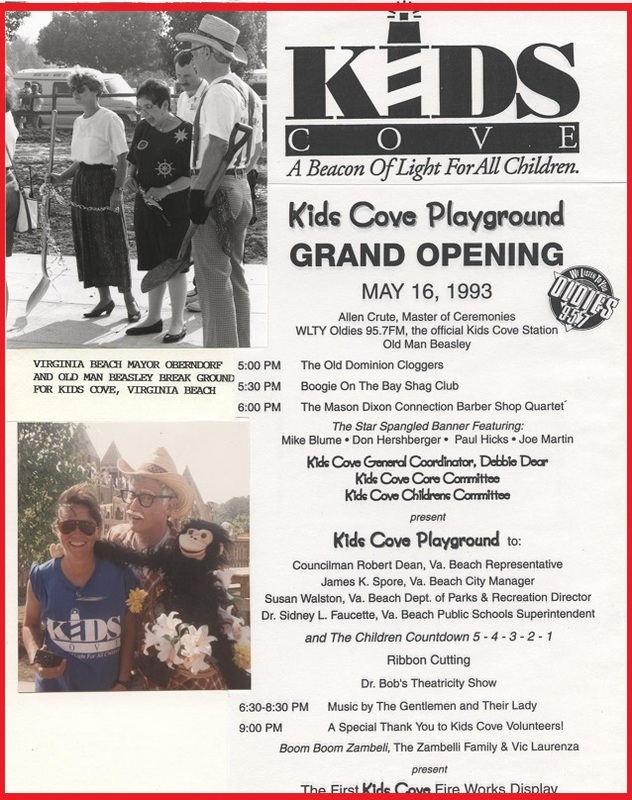 5 Years as Featured Entertainer for Virginia Beach Parks & Recreation. 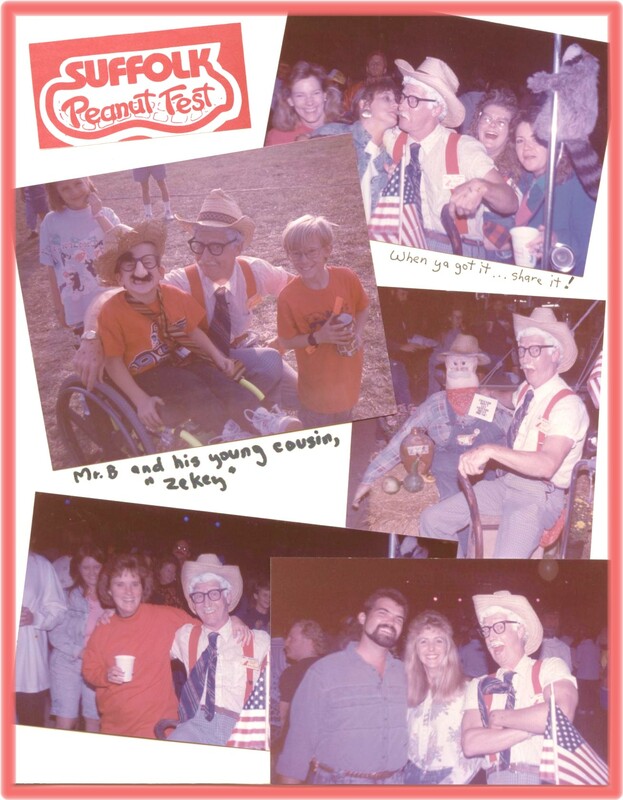 12 Years as Ambassador for the Pungo Strawberry Festival, Virginia Beach, VA.
9 Years as Ambassador for the Suffolk Peanut Festival. 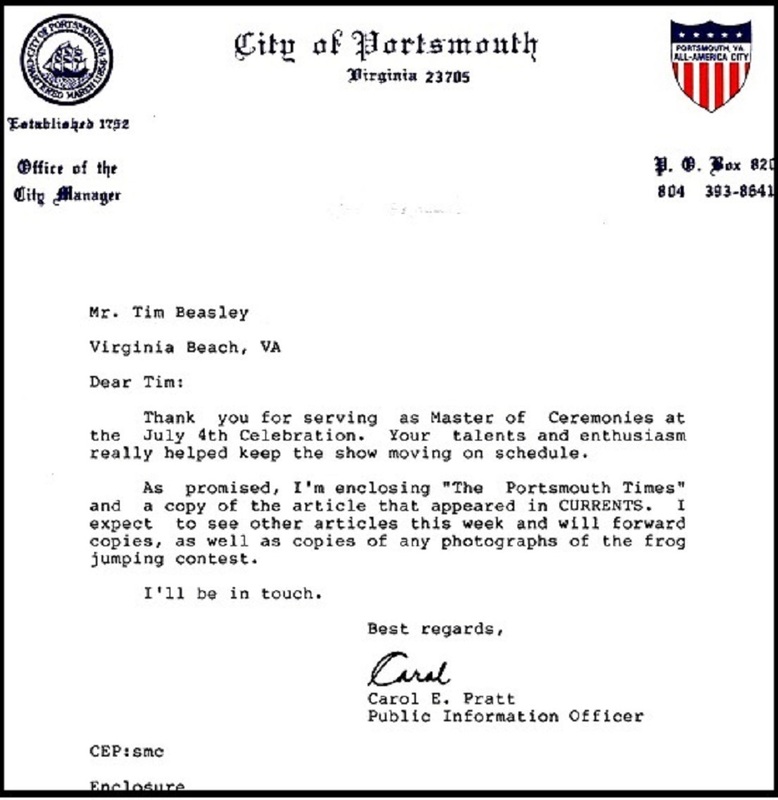 4 Years as Ambassador for Virginia Beach Neptune Festival. 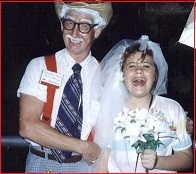 Special guest in 1995 for "Mayberry Days Festival" Mt. Airy, NC, in conjunction with TBS special marathon broadcast of "The Andy Griffith Show" celebrating the show's 35th anniversary...Special Mayberry Days Parade float unit of an old truck with "Old Man Beasley" riding in the bed, also TBS featured him in intro to an episode! and Recreation Depts of Virginia Beach, Norfolk, Chesapeake! 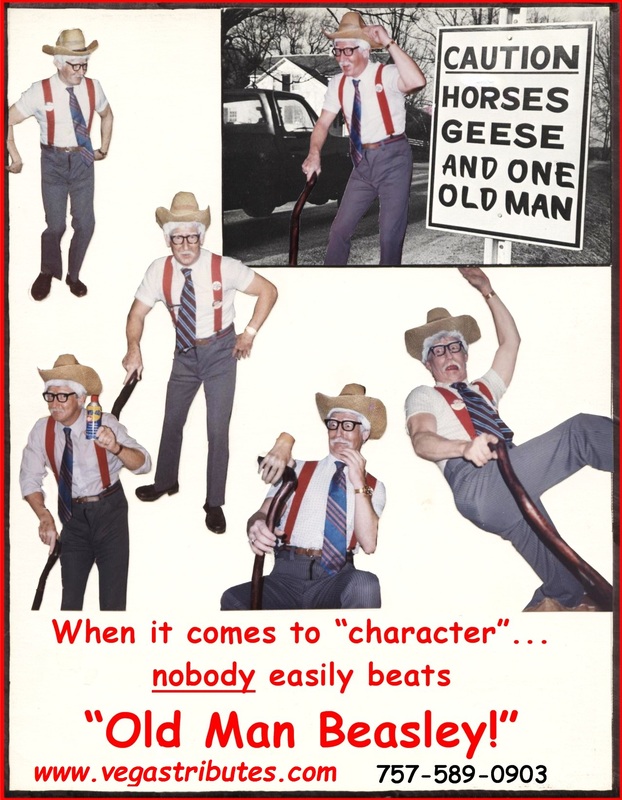 few corporate "hoe-downs" looking to add some country-style fun! home and show the folks" photo fun! 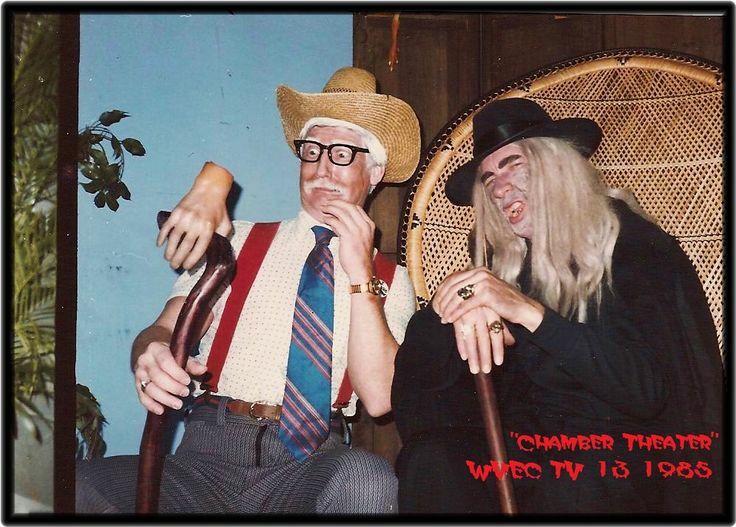 Here's a few TV appearances on the YouTube link! considered a popular "with it" celebrity VIP, not unlike those of paparazzi! Anheiser Busch's "Budweiser Happy Hour" at Dam Neck US Navy's installation's Oceanfront club. 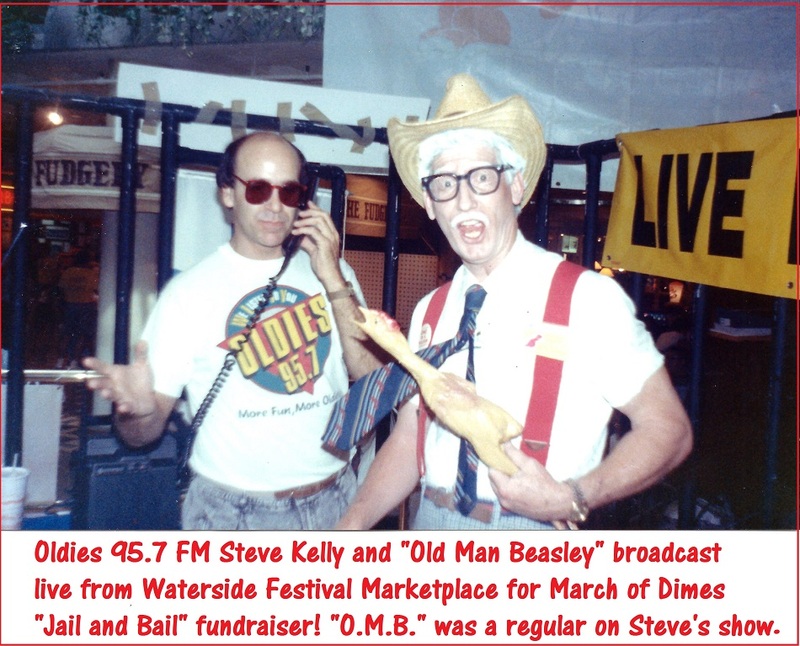 WLTY Oldies 95.7 FM "Lunchtime funnies"
COOL 105.3 FM "Car Tunes"
WPXI AM 1140 "The Goldmine" Radio Spot Commercials for wide variety of clients. 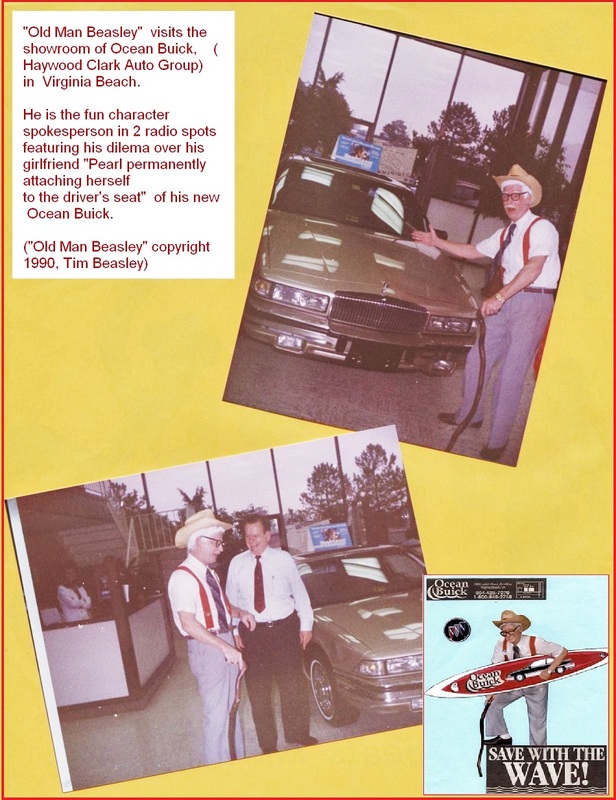 "Mayberry Days Festival" Mt Airy, NC on parade truck "Beasley Patriarch" for all Beasley's of "Andy Griffith Show"
News features WTKR TV3, WAVY TV10, WVEC TV13, (Hampton Roads) and WDBJ TV7 Roanoke, VA.
TV Show "Chamber Theater" fun latenight horror show spoof on WVEC TV13. FX Showroom "Tacky Tourist" fun PR. Bookings Nationally - Internationally, too!